The very word sends a shiver down the spine, carrying with it memories and echoes of those glorious months from our younger days when the world seemed limitless, and full of potential. For readers, the summer months have a special connotation. We remember not family trips, per se, but those books we read wedged in the back seat. We remember not pick-up games in the yard, but library reading programs and the stacks of books we devoured, heedless of the outside world. (Did you cross an ocean, measuring the nautical miles in page counts? Or did your reading stats take you on an epic walk? Did you get stickers, or bookmarks, or was the reading simply for its own sake, with no thought of prizes?) We remember all that time we had to read what we wanted, not what we had to read for school. Summer is when we made some of the reading discoveries that have lasted for a lifetime, books and authors who would shape us, in ways we may not even really understand. As exciting as summer is for adults, it’s never quite so wondrous as those we remember. But as readers, we can recapture a bit of that magic, whether we’re travelling the world, or sipping coffee on our tiny deck. This month, the booksellers of the Shelf Talkers column pull back the curtain a little to describe not only what they’ve been reading, but how they’ve been reading it. Consider it their version of those “What I did on my summer vacation” essays we all had to write, but with a special twist: there’s still some summer left, for you to make your own moments of magic. Your local independent bookseller is there to help you with the details. [Photo: Lee Trentadue's lovely reading area]. It is the time of year when I realize, looking into the back garden, that the fruits and veggies are ripening faster than they can comfortably be consumed (who thought planting five zucchini plants was a good idea?). 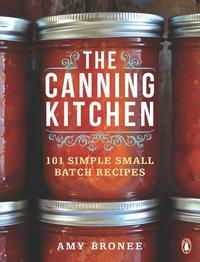 If you’re wondering what to do with the extra bounty look no further than The Canning Kitchen: 101 Simple Small Batch Recipes, by Amy Bronee. Filled with easy-to-follow directions for everything from jams and jellies to pickles and chutneys, Bronee offers much-needed advice to those new to canning, and with 101 scrumptious recipes, even old pros are likely to find a new favourite. Let no fig go to waste. Read on the deck, looking across the strait at Vancouver. This crime novel, loosely based on an actual murder, takes us back to Vancouver between the two world wars: a city rife with corruption, racial tensions, and class warfare. 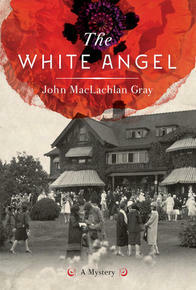 Combining a cunning mystery, three intriguing and very imperfect main characters, and an eye-opening view of Vancouver during this era, Gray will keep you turning the pages while having the occasional chuckle at his wry humor which we came to know and love in his Billy Bishop Goes to War. When I'm enjoying the sun or on the move I'm often in the mood for something a bit more suspenseful, so a book featuring love and time travel is perfect (it also helps that time travel is one of my all-time favourite plot devices ever). 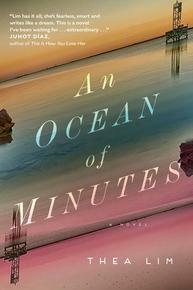 Thea Lim's An Ocean of Minutes is a fictional romance of love separated through time, filled with suspenseful uncertainty and high stakes. Lim's vision of a love torn apart by time itself, An Ocean of Minutes has given me a wonderful fix to my summer romance craving no matter where I am. The highlight of my recent vacation was simply being left to read. 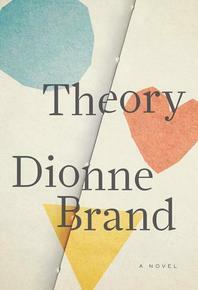 The pick of the litter as it were is probably the new Rawi Hage, Beirut Hellfire Society (watch for it around Giller time) but the book I most enjoyed was Dionne Brand's forthcoming novel, Theory. The nameless first-person narrator is a perennial grad student in the middle of a revolutionary thesis that will change our thinking on race, class, gender politics, and pretty much everything. Over the ten or so years of the novel, three lovers enter the fray—representing the heart, head, and spirit, but each inform the novel and our main character in specific, wonderful ways. Dionne Brand's sixth novel is fiercely smart, each character is wonderfully incomplete and problematic, and it makes one wonder if anyone can realistically stay together. 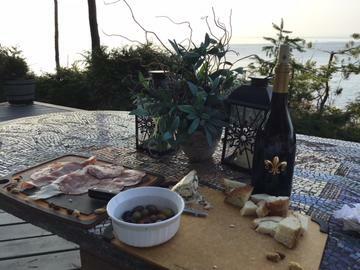 This summer, much of my reading has been spent on our gorgeous Gulf Island deck. To give us more reading time and less cooking and cleaning time, we are making meals out of boards and platters of finger foods. 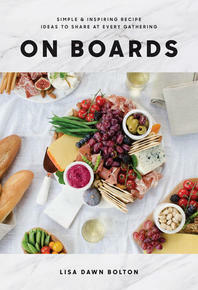 On Boards is a wonderful addition to our cookbook library, with tons of creative ideas for easy entertaining with family and friends. Today, I am digging into Mary Cyr, by David Adams Richards, one of my favourite Canadian writers.